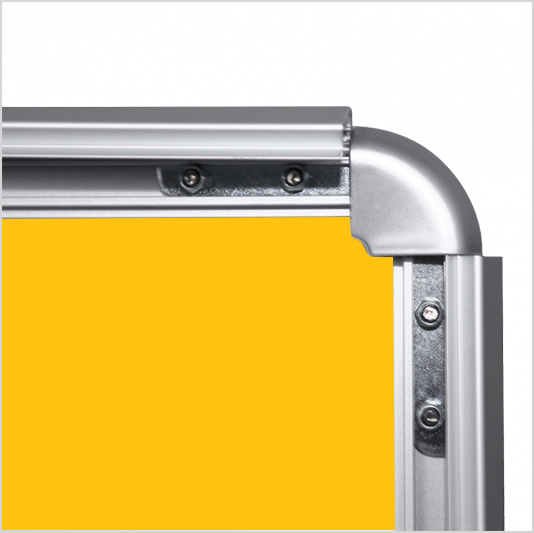 Waterbase Snap Frame is made for outdoor use. 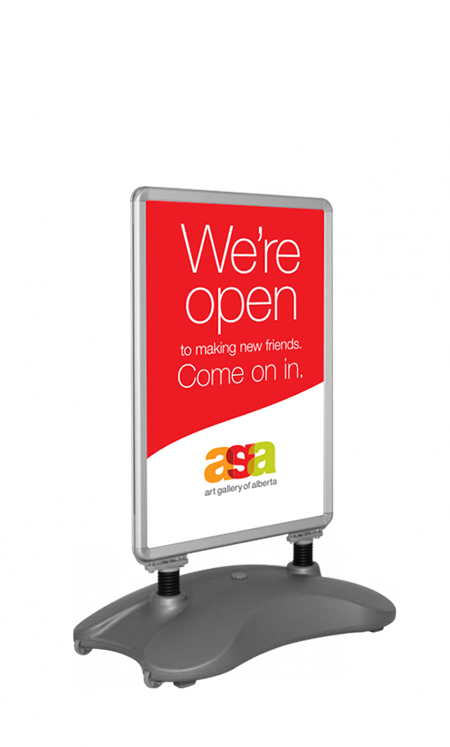 Easy to load Snap frame comes with glare reducing overlays. Base can be filled with water to add extra weight. 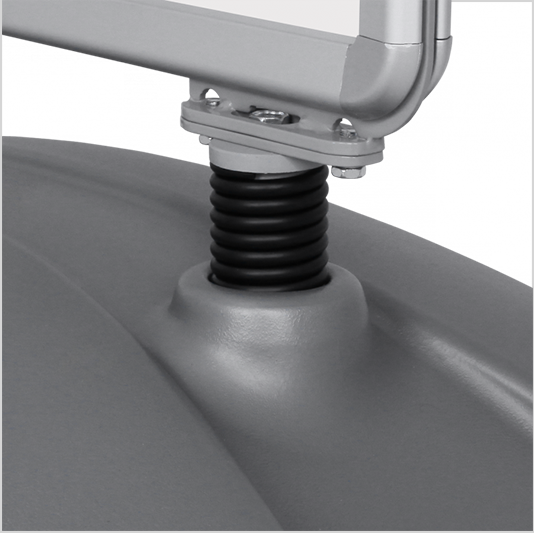 Flexible springs provide stability when placed in windy areas. 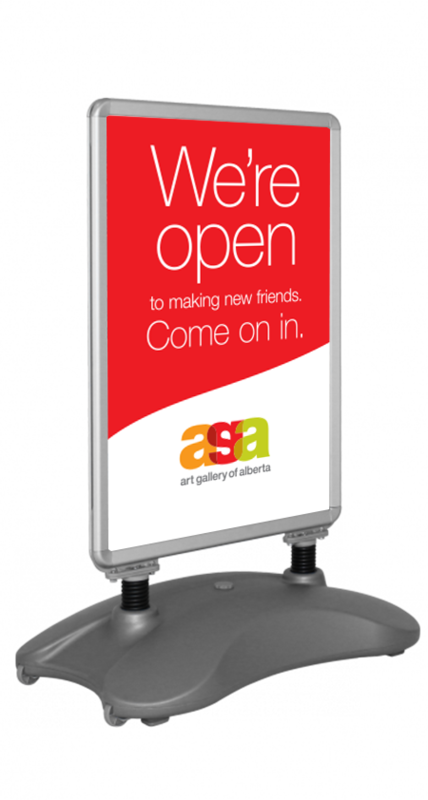 Waterbase Snap Frame sign is double side for twice the exposure and message can be viewed from either direction. 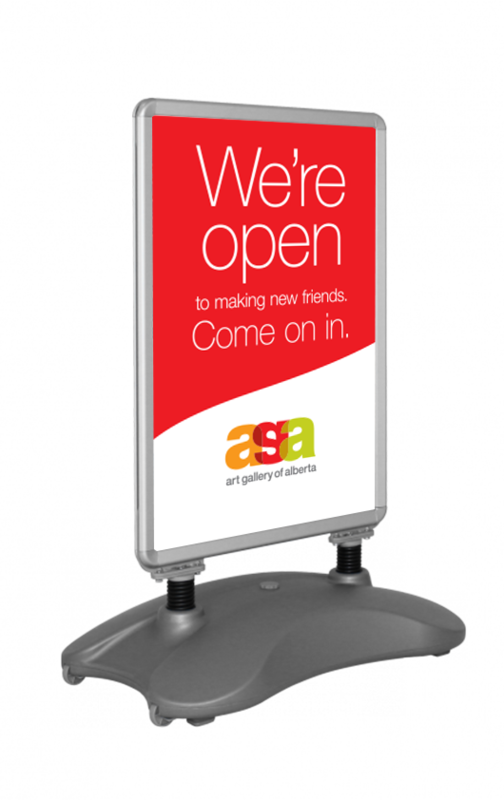 This user-friendly display snaps open without the use of tools for easy print installation and changes. Springs are used to connect the snap frames to the plastic base to allow for movement in the wind. 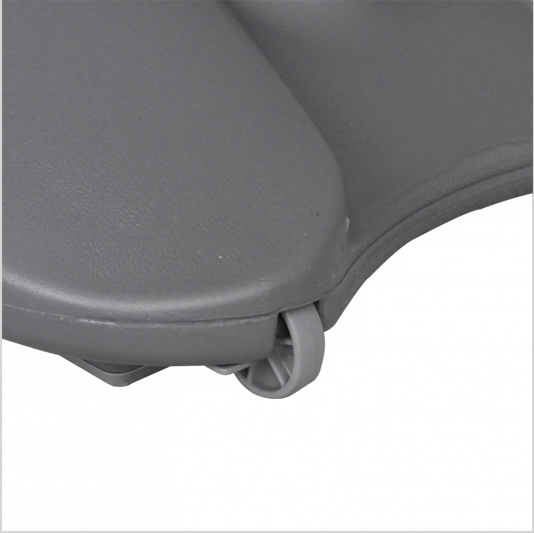 The Waterbase snap Frame is constructed of a plastic base with wheels to increase portability. 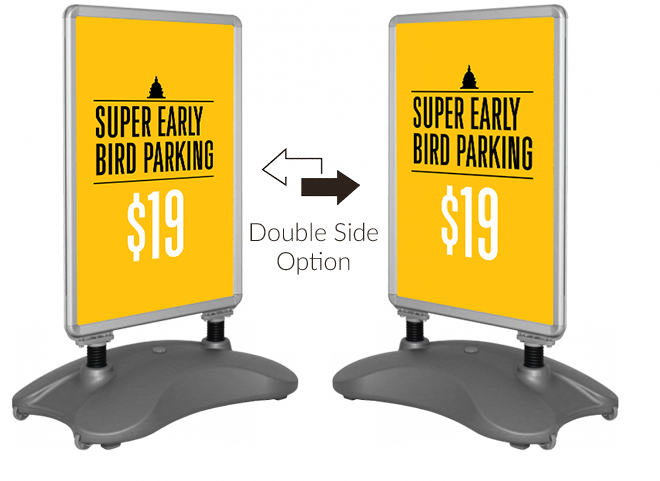 Add more advertising space with double side option.